Cause you&apos;re hot and you&apos;re cold! 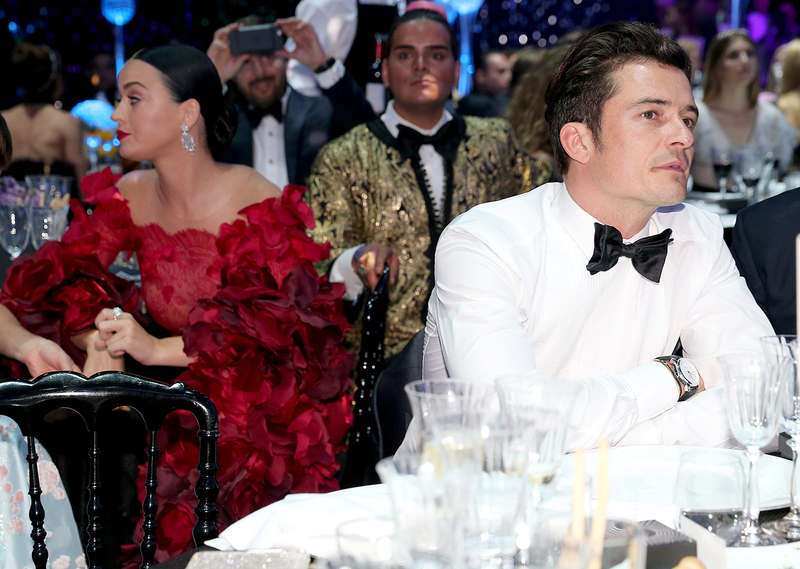 After some recent drama, Katy Perry and Orlando Bloom awkwardly interacted inside the star-studded amfAR Gala at the Cannes Film Festival on Thursday, May 19 — and Us Weekly has exclusive observations. The annual bash took place at the illustrious Hotel du Cap-Eden-Roc in Antibes, France, where Perry was one of the featured performers of the evening. The Grammy nominee, 31, and Bloom, 39, both got ready before the event in their rooms at the same hotel, but Perry (resplendent in a Marchesa gown) was first to walk the red carpet on Thursday. Twenty minutes later, Bloom walked the red carpet alone and then took photos with Karolina Kurkova, who was posing beside him. An observer tells Us that Perry stayed away from her beau during the drinks reception, and the two were seated at different tables inside the dinner. However, the tables were adjacent to each other, and both stars chose spots right beside each other. Bloom&apos;s dinner mates included British Formula One racer Lewis Hamilton and supermodel Petra Nemcova, while Perry took a seat at her table with Bootsy Bellows founder Markus Molinari and her entourage. The eyewitness tells Us that Perry seemed to oppose taking photos with Bloom, and the in-house shutterbugs were advised not to take any pictures of the pair when they were chatting. Despite the great lengths Perry took to avoid joint photos, she still chatted with Bloom throughout the meal. The insider says the two were sitting back-to-back and would turn around and tap each other to talk. Bloom would frequently whisper to Perry to make her laugh. Perry even stood up and briefly rubbed Bloom&apos;s shoulders before departing the dinner at 11 p.m. local time to get ready for her performance. Bloom was a proud boyfriend when Perry sang four of her smash songs on stage, and he took photos of the superstar from afar. A pal tells Us that the two are actually doing very well. “They’re full speed ahead," the friend tells Us. "They&apos;re so into each other." Other stars who joined the occasion included Leonardo DiCaprio, who kept a low profile throughout the evening. The Oscar winner&apos;s table included a group of his guy friends that included Richie Akiva. Mischa Barton also attended the gala and brought her friend Mohammed Al Turki as her date for the night. The observer says Barton looked great and healthy following her recent Dancing With the Stars stint. The O.C. alum comfortably interacted at one point with fellow aughts survivors Paris Hilton and Kirsten Dunst. Supermodel Adriana Lima attended the event with her boyfriend, Joe Thomas. The Brazilian native made her boyfriend pose on the red carpet and surprised him with a big kiss. She later said to Us: "I like to embarrass him!" 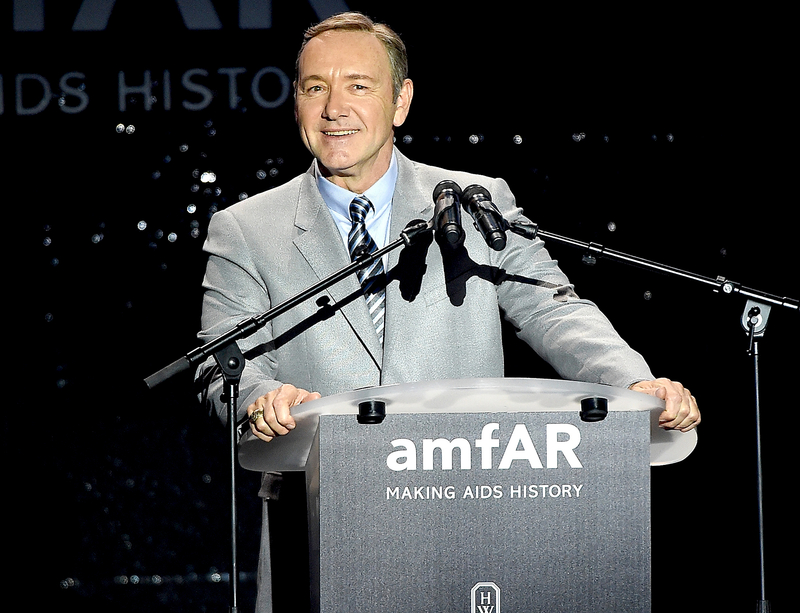 The charity fundraiser&apos;s host, Kevin Spacey, was a riot during the dinner, especially when he helped auction off a weeklong stay at DiCaprio&apos;s Palm Springs pad. "Tonight you can bid on a stay at the Las Vegas home of Leonardo DiCaprio," the House of Cards star told the audience. "It&apos;s something very special, only a few hundred Victoria&apos;s Secret models have had. 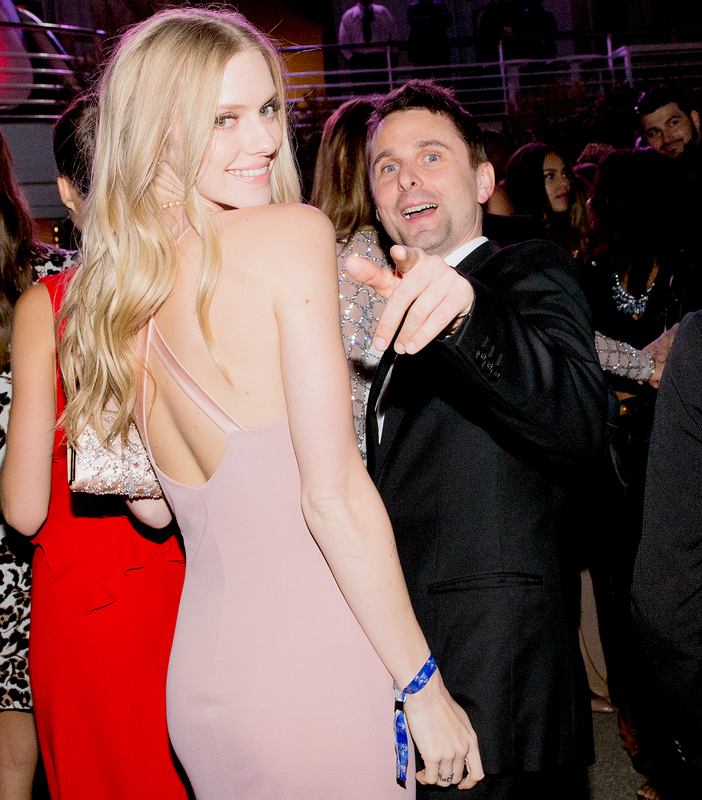 Orlando Bloom is gonna bid on that." The stay for 12 guests was sold for 300,000 Euros. 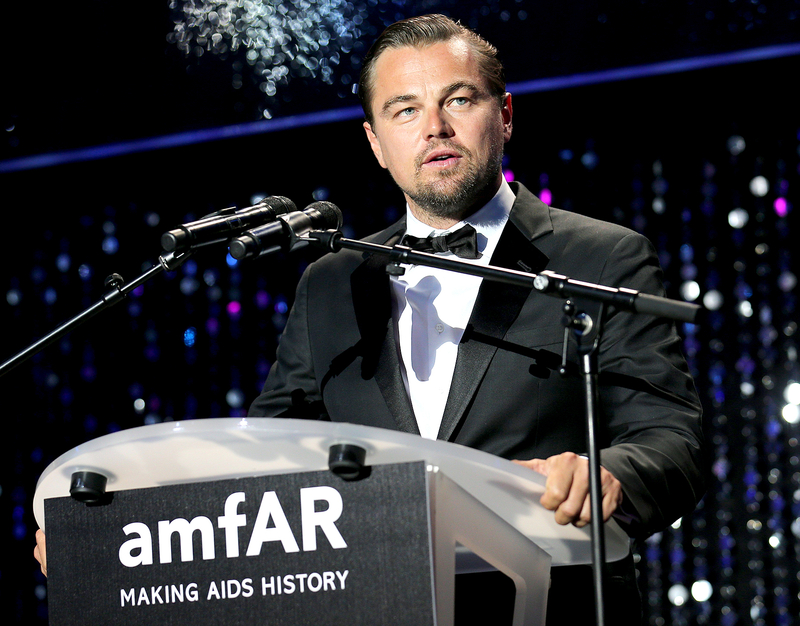 Then, DiCaprio shouted that he wanted to sell a second holiday, which ended up selling for 150,000 Euros. All funds raised from the evening went towards the Foundation for AIDS Research.